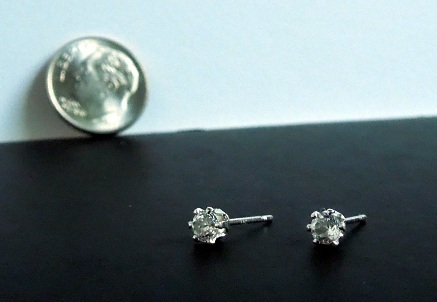 Notes: These tiny cut crystal post earrings are comparable in size to a large pin head. 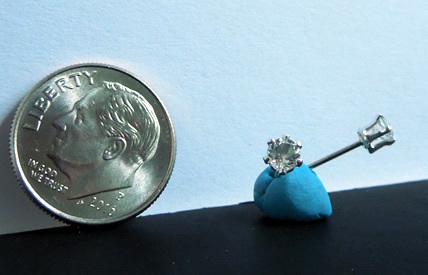 Round, measuring 3x3 mm, they are set in Sterling Silver studs. 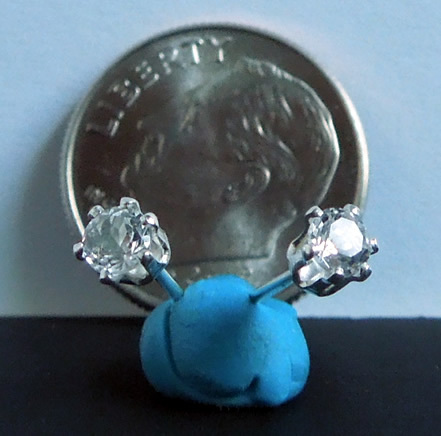 All machine cut / faceted crystals are water clear. 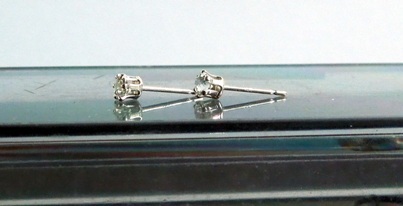 Small clear cut crystal post earrings.